Named after John Piper’s best-known book, “Desiring God: Meditations of a Christian Hedonist”, Desiring God is home to the ministry of John Piper. The website offers guests a host of resources, from recent sermons preached by Dr. Piper to those preached as far back as 1980, conference messages, articles, online books, poems, biographies and more. Including these, Desiring God has also seeks to sell Dr. Piper’s books at far below retail price, operate a church-based Christian bookstore, coordinate an annual pastors’ conference, as well as oversee John Piper’s administrative needs. The greatest aspect of Desiring God is their conviction not to let money be a hindrance to the gospel going out, so the ministry offers most of its resources on a “whatever-you-can-afford-basis”. All of Dr. Piper’s preaches etc are downloadable free of charge, but if you would like to obtain a resource like one of John’s books and you are limited by cash flow, you are allowed to contact them to let them know what you would like and they are happy to fill your request (although they do ask that orders are kept to under $25). 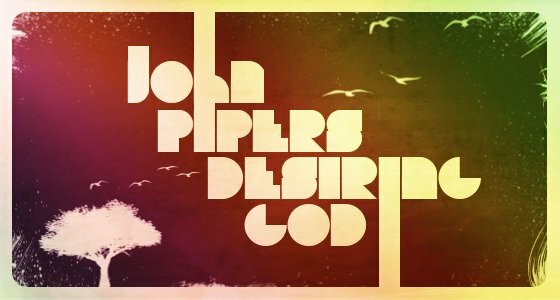 Choose a preach to download, see what John Piper is up to on Twitter, browse articles that he and his team have posted, or check out some of the awesome poetry Dr. Piper has written, all at www.desiringgod.org.